These deals are great you can choose items your family uses most. 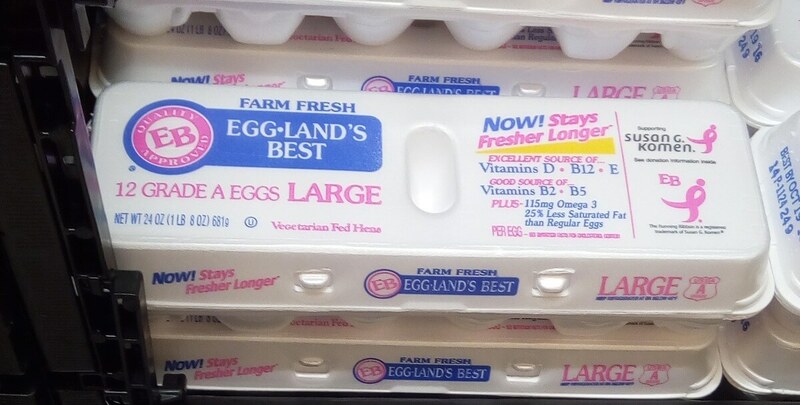 Our best deal is to load up on Egglands Best Eggs you can pick up 6 dozen eggs for just $0.42 each. 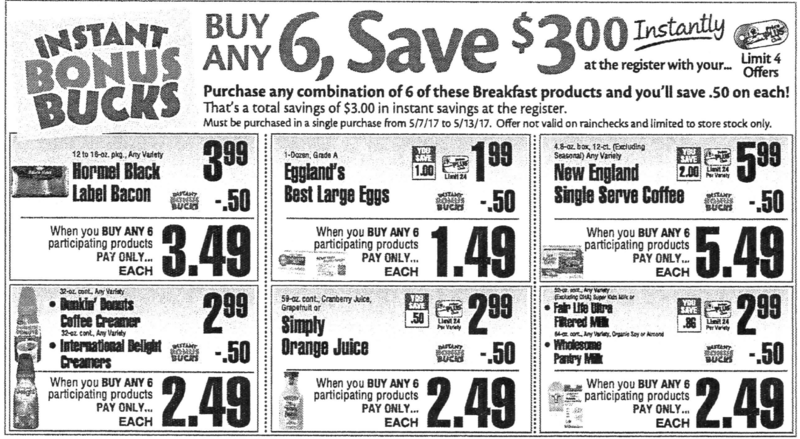 We can also score 4 Egglands Best Eggs, 1 Dunkin Donuts Coffee Creamer and 1 Simply Cranberry Juice Cocktail Drink for $0.47 each after coupons and instant savings.